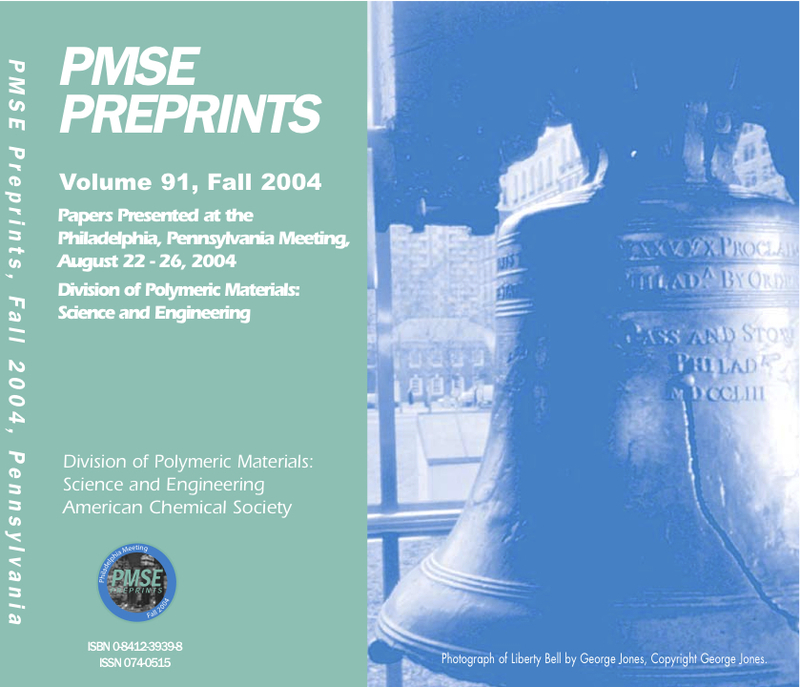 In Spring 2015, PMSE voted to stop publishing PMSE Preprints in conjunction with national ACS meetings. 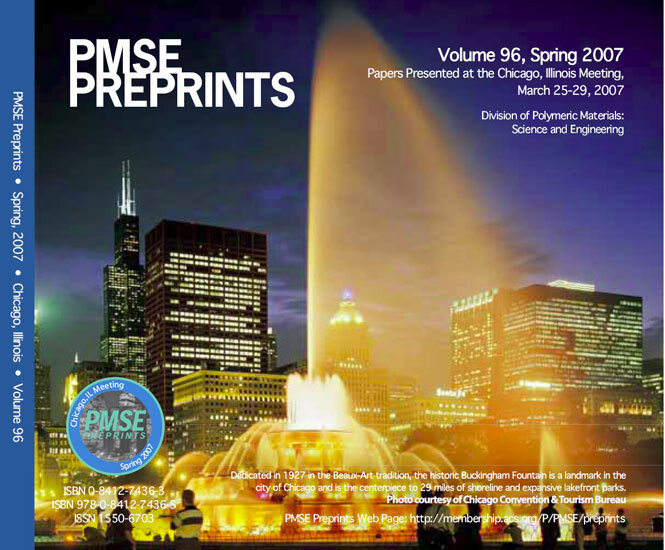 The Spring 2015 volume of PMSE Preprints (Vol. 112) is the final volume to be published. 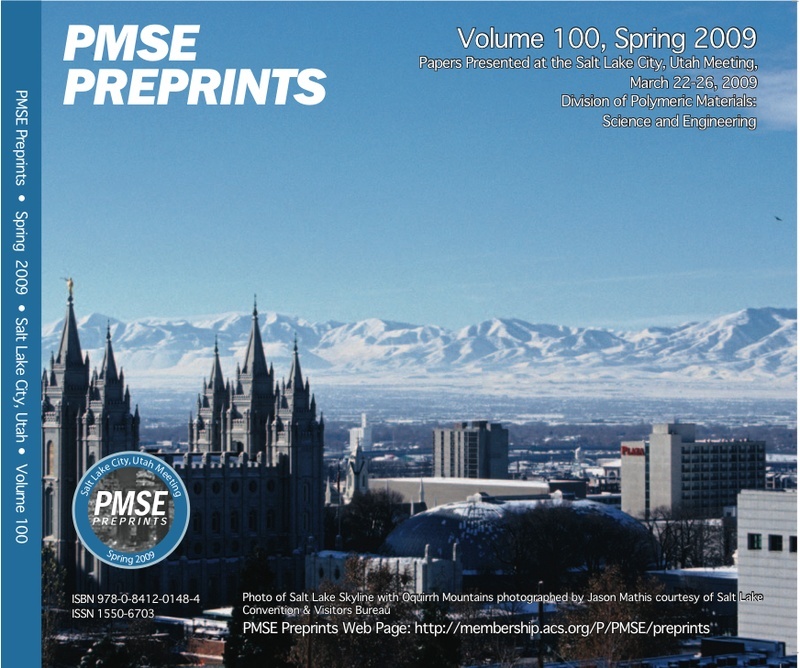 This website provides ordering, access, historical, and other information regarding all existing volumes of PMSE Preprints. 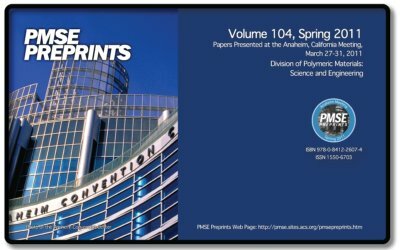 PMSE Preprints were published online twice yearly, approximately one month before the Spring and Fall national ACS meetings. 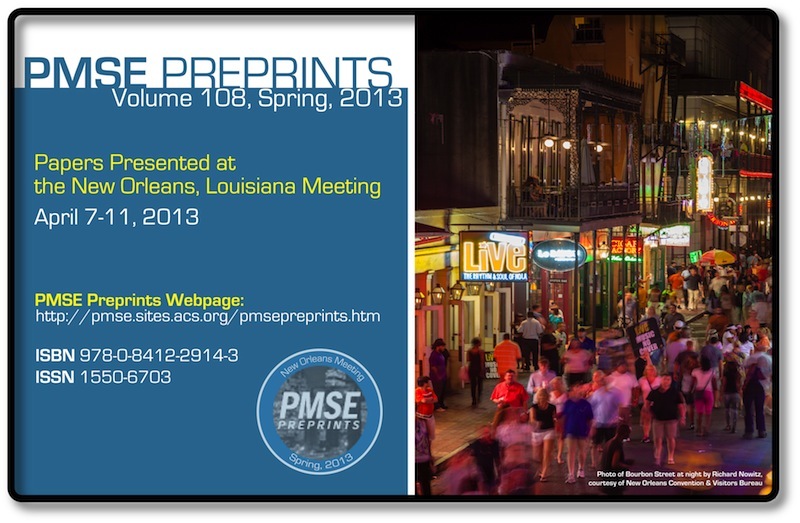 The submission of a PMSE Preprint for PMSE symposia speakers was made optional beginning with the Spring 2013 ACS meeting (PMSE Preprints Volume 108); therefore, not all PMSE Division posters and presentations have an associated preprint from 2013 to 2015. 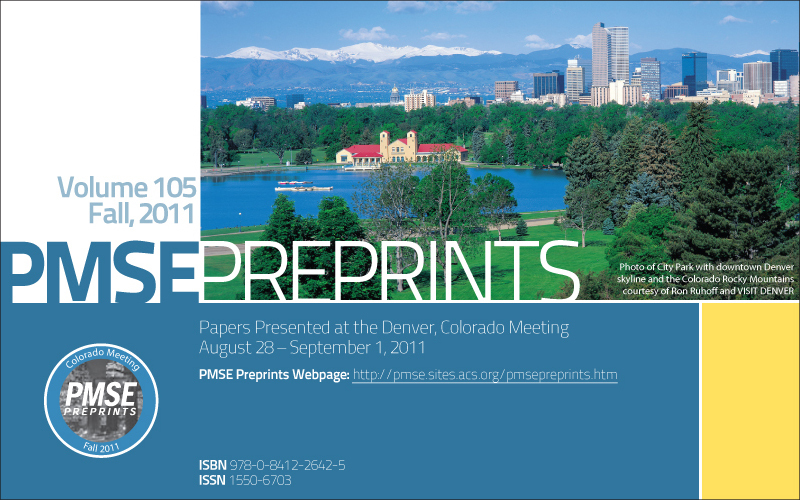 PMSE presentation abstracts are not part of the PMSE Preprints CD, but are included in the ACS Meeting Abstracts collection. 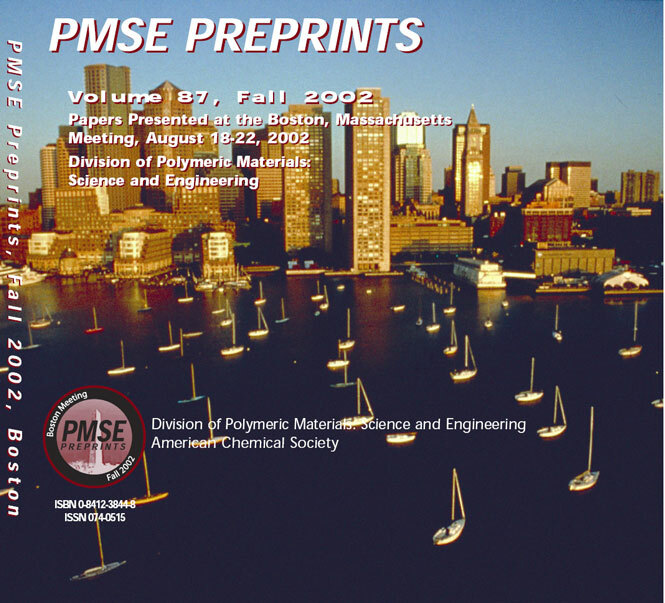 Electronic web-based PMSE Preprints subscriptions are available to libraries, institutions, and businesses. To subscribe, please follow the "how to order" link on the ACS Division Proceedings Online website. Institutional customers who prefer CD-ROM format preprints may purchase burned-on-demand CD versions of current and future volumes from Curran Associates. The price is $90USD per volume (1 year = 2 volumes) plus mailing fees. Online access is not included. Please place all orders directly through Curran Associates. 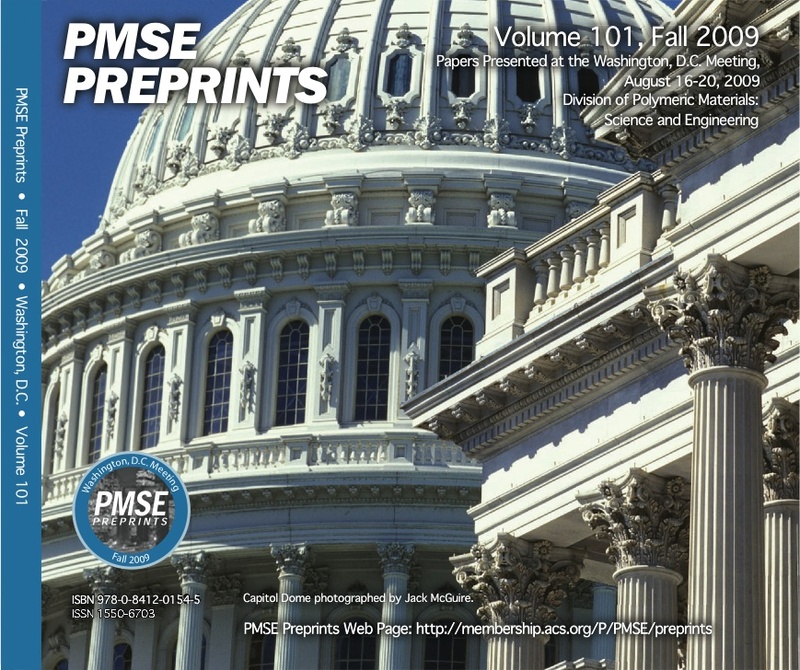 PMSE no longer publishes PMSE Preprints in book form. However, institutional customers requiring print can purchase hard copies of current and back issues (vol. 86 Spring 2002 and later) from Curran Associates' print-on-demand service . These copies are made by printing the entire contents of the CD or online volume. Please contact Curran Associates directly to order. 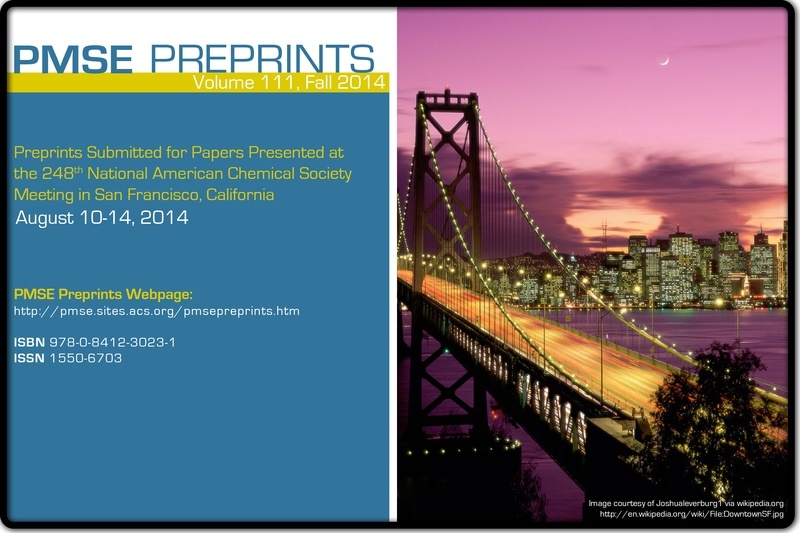 ACS Preprint Server, [visit here], has online access to preprints. Your login will be your ACS ID and password; instructions regarding these IDs/passwords appear on the login page (they are administered by ACS, not PMSE). This site provides back issue access through Volume 84 (Spring 2001). If you are having trouble accessing the online preprints, please contact ACS Membership Services (1-800-333-9511; service@acs.org) to ensure that you are in the ACS database as a PMSE member in good standing. 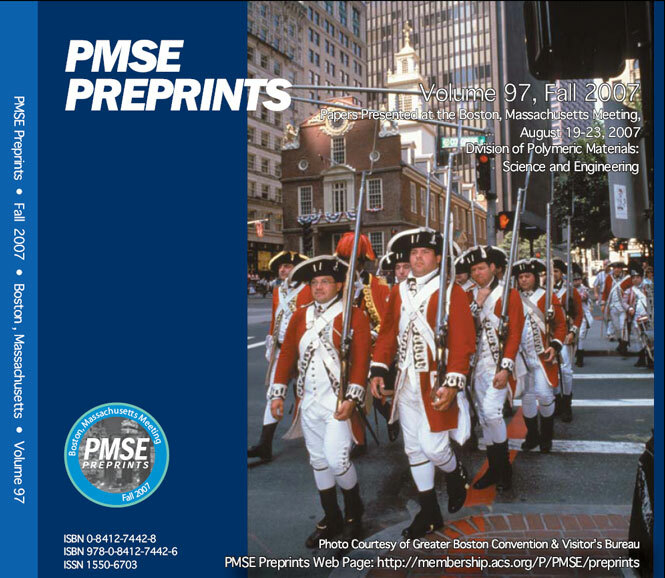 The official publication date of PMSE Preprints is the earlier of: (1) the date that the preprints were delivered to the U.S. Postal Service for mailing (for volumes issued in CD or print form); (2) the earliest date that the preprints were made available through the ACS Preprint Server or Mira Digital Imaging Server. Click here for a list of publication dates and ISBN / ISSN numbers for past and current volumes. 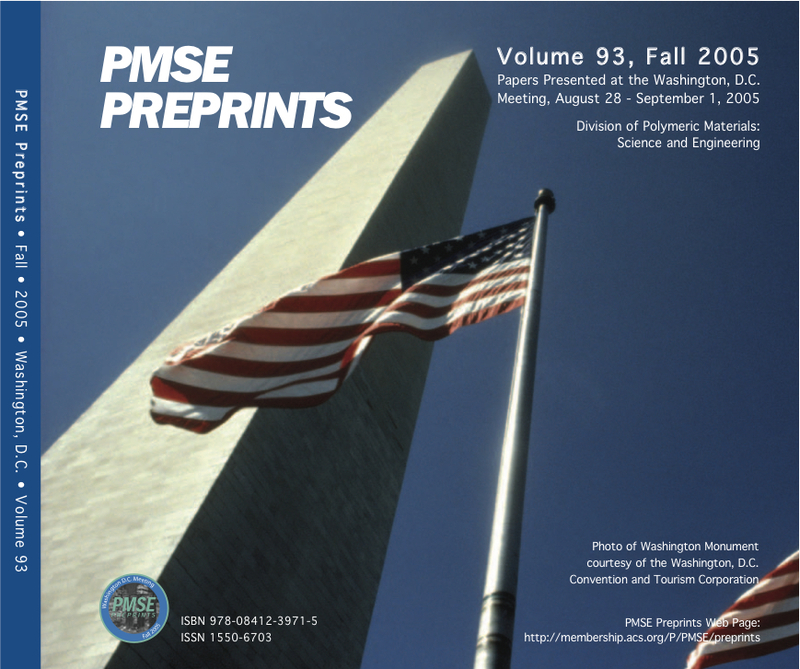 Volumes of PMSE Preprints through vol. 85 (Fall 2001) were published in paper format. 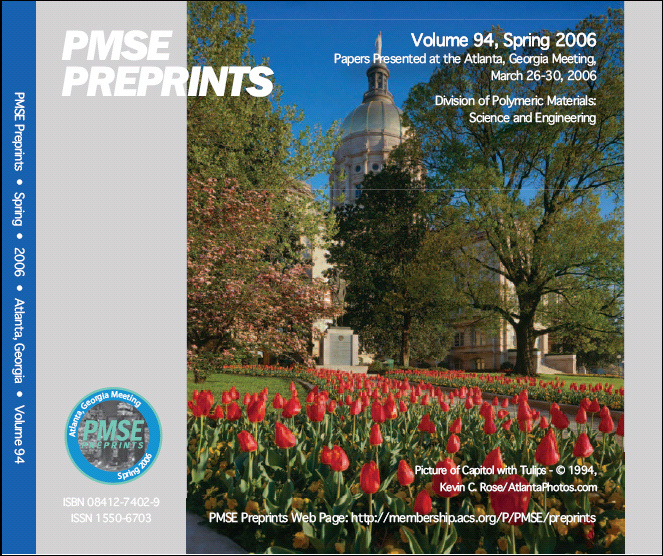 Volumes 86 (Spring 2002) through 101 (Fall 2009) were published in CD / web format. 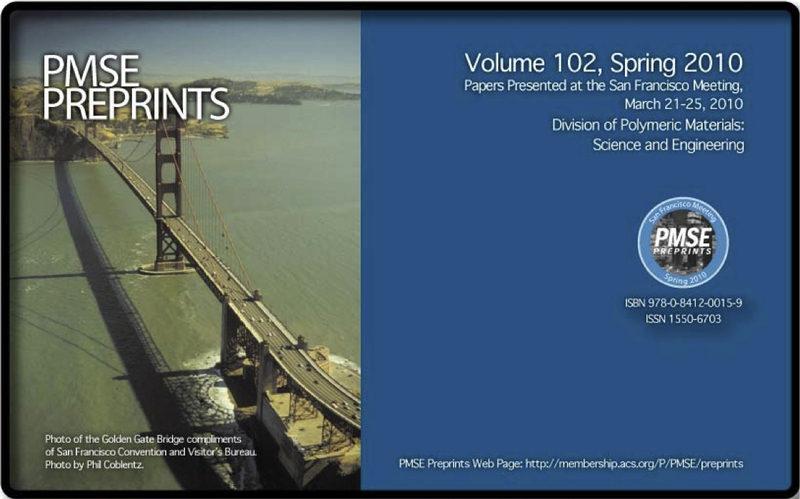 Volumes 102 (Spring 2010) and forward are published in web format only. 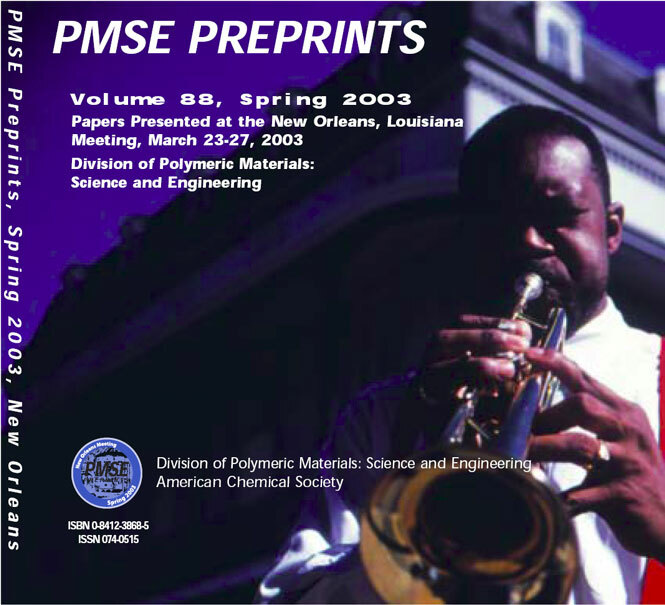 The last few years of PMSE Preprints were not assigned page numbers by ACS. Therefore, recent PMSE Preprint papers do not bear pagination in the Chemical Abstracts Database or on the ACS Preprint Server. However, Preprints appearing on the heritage Mira Digital Publishing Server are paginated. 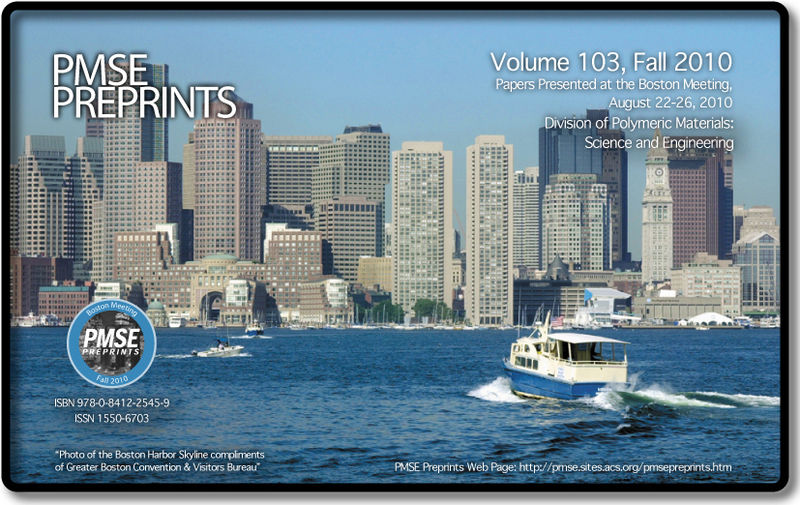 Single preprints purchased from Curran Associates through Volume 109 (Fall 2013) also bear a footer line giving pagination. Authors wishing to obtain an "official" version of their Vol. 109 or earlier preprint showing pagination, year, and volume may do so from Curran or the Mira server as described above and below. However, since these page number no longer appear in the CAS database entries for the preprints, they are no longer rigorously official or necessary when citing a preprint. 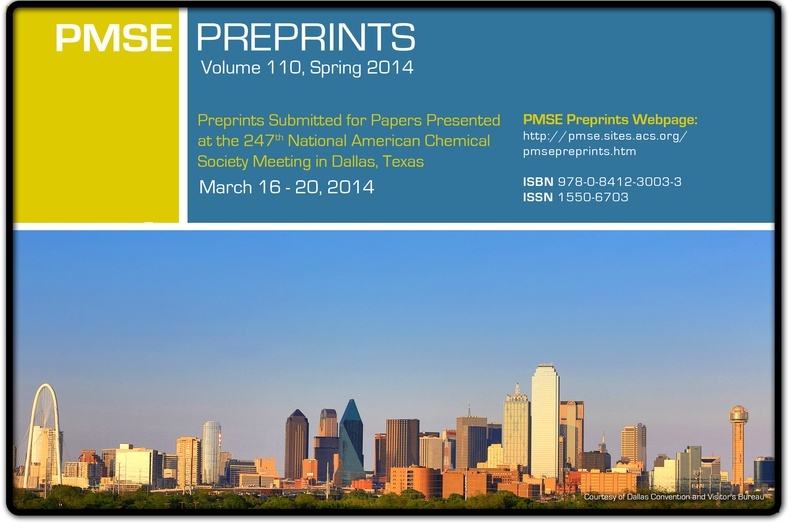 PMSE Preprint papers beginning with Vol. 110 (Spring 2014) will no longer be assigned pagination in any format. Vol. 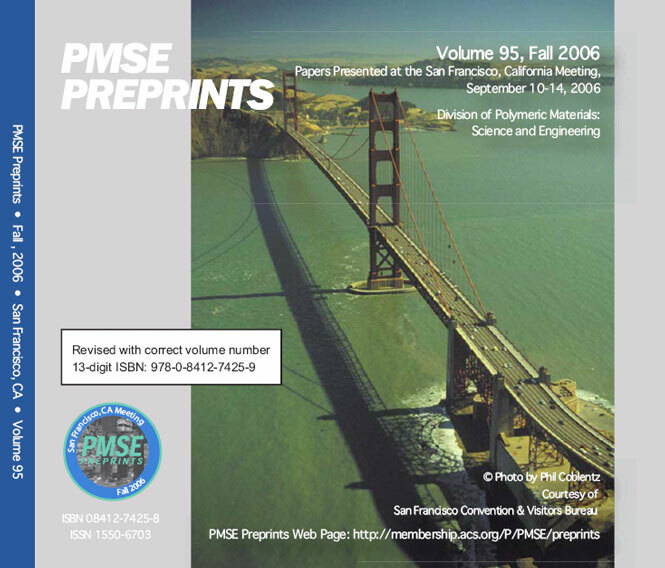 110 and later copies of preprints purchased through Curran Associates will bear a footer giving the publication name (PMSE Preprints), year and volume. Back issues of CD volumes (vol. 86 Spring 2002 and later) are available from Curran Associates (see Ordering Information for Libraries & Institutions and Businesses). Volume 86 - 108 CDs were produced by Mira Digital Publishing. Volumes 109 - onward were produced in-house at PMSE and have a more limited interface and search functionality. Back issues in paper form of vol. 86 and later can be ordered through Curran Associates' print-on-demand service (see Ordering Information for Libraries, Institutions, and Businesses). Back issues of paper volumes (vol. 85 Fall 2001 and earlier) are not currently available for sale, although some issues appear on sites selling used books (Amazon.com, etc.). 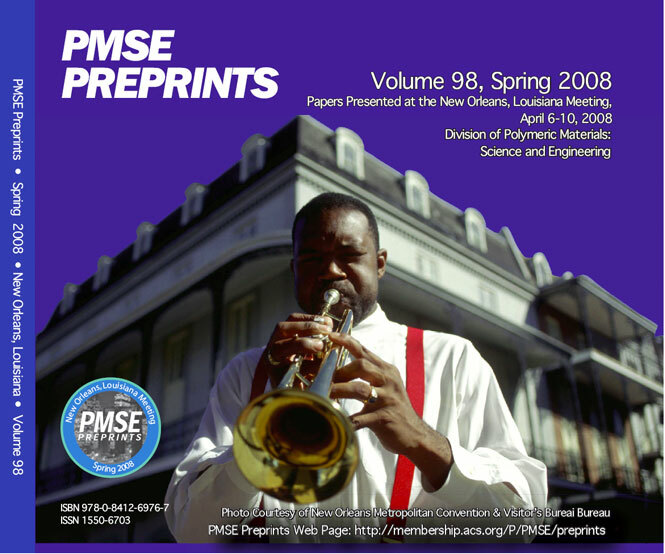 Customers accessing online preprint subscriptions via the ACS Preprint Server (see Online Preprint Access for PMSE Members) should have access to back issues of PMSE Preprints through Volume 84 (Spring 2001). 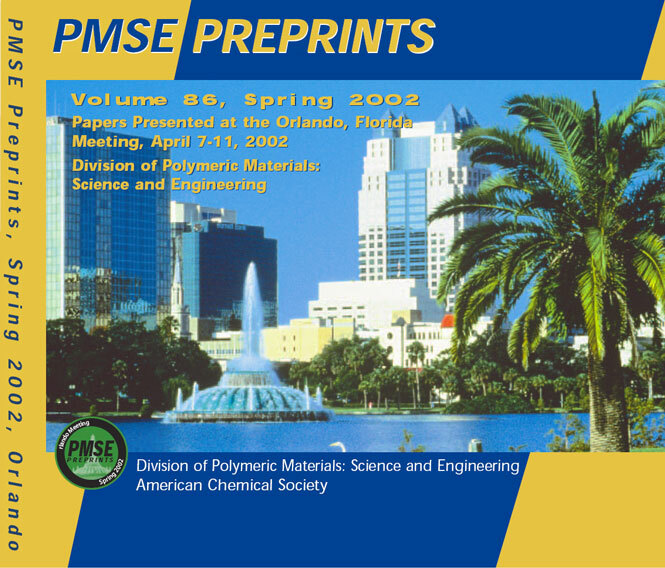 PMSE maintains our own Preprint Archive of paper and CD volumes. Currently, the Archive contains all volumes from 30(1) (1970) through the current issue. 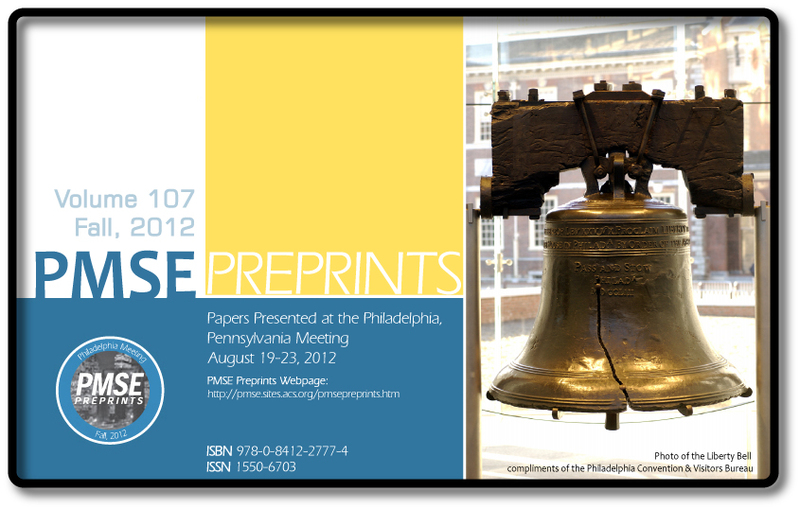 If you need to obtain a single preprint from an out-of-print issue, please see How to Order Copies of Single Preprints. 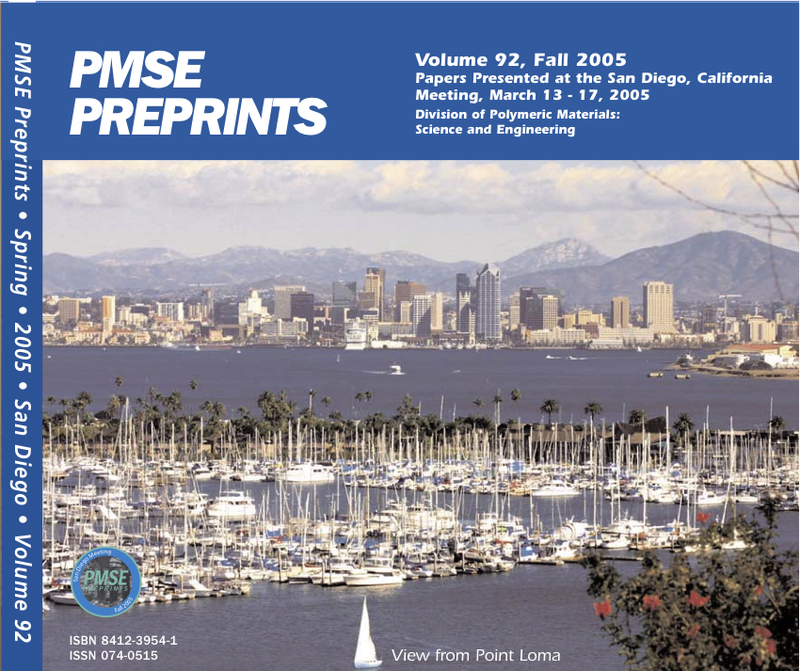 If you have other questions regarding out-of-print issues, contact the person listed under PMSE Preprints Archive in Contact Information and Help. 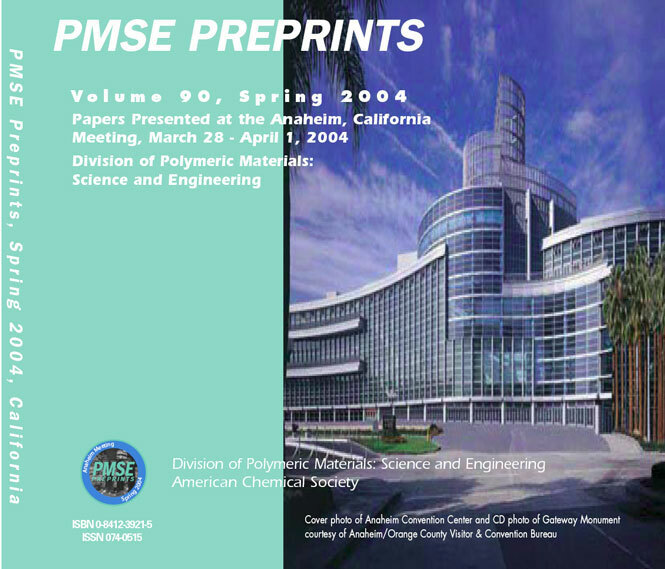 Copyright-compliant single copies of PMSE Preprints (all years and volumes) can be ordered directly from Curran Associates for $30 using their online order form. 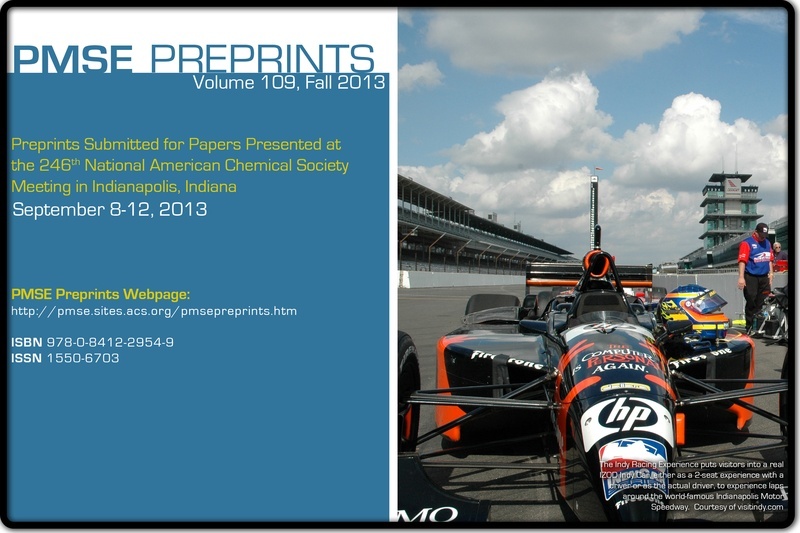 To order preprints from Vol. 86 onward, you must provide year and volume number and, preferably, the exact preprint title. If the full title is not known you may provide page number AND author last name/initial(s). Preprint orders for Vol. 86+ without an author or title cannot be filled due to the interface structure of the CD and web Preprints. 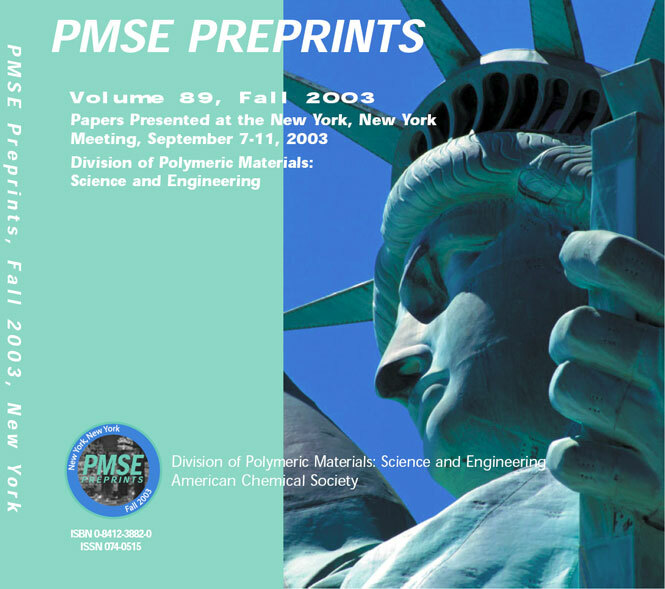 If you have attempted to purchase a preprint photocopy right for "general business use, library reserves, and ILL/document delivery" through the Copyright Clearance Center and were directed to the American Chemical Society for permission, your order through the Curran web site fulfills the publisher permission requirement. 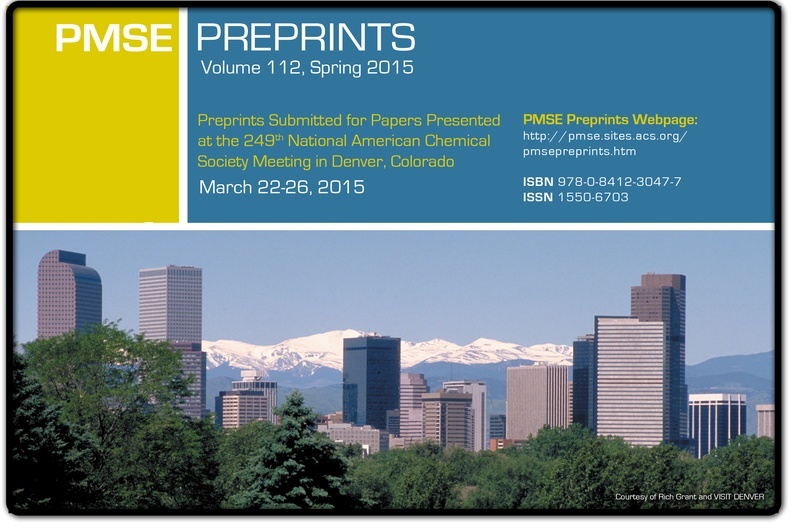 Submissions to PMSE Preprints were made using the ACS Program and Abstracts Creation System (PACS). For more detailed information, see our Author Instructions and Preprint FAQs. 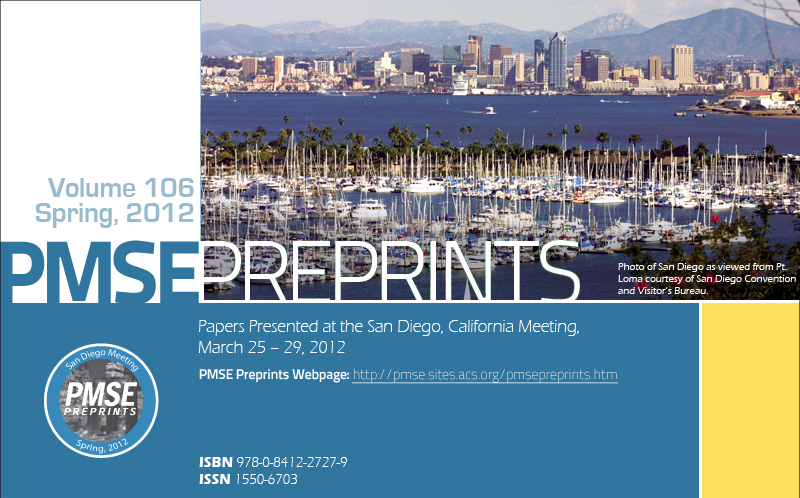 Preprints should be prepared using the PMSE Preprint Template. (Due to recent ACS web page migrations to new servers and changes from OASYS to PACS, some information on these pages may be out of date). 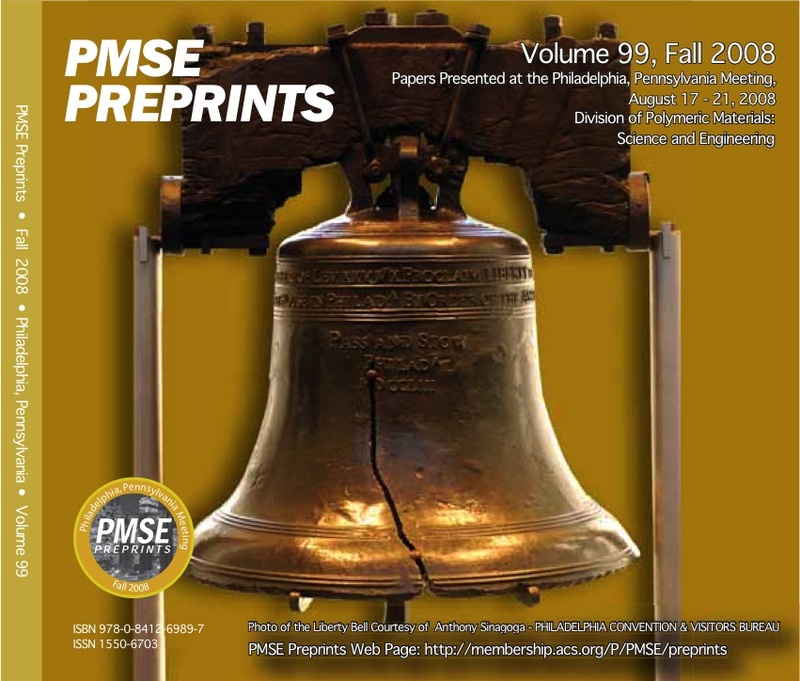 For individual PMSE members requiring assistance with membership issues affecting Preprint subscriptions that cannot be resolved through ACS, please contact our current Membership Chair (follow the "About Us - Division Officers" links at the PMSE Division Home Page). For individual preprint orders, institutional orders, and back issues, please see above.